How did anyone get attention before the Internet? I honestly wonder which of my former teachers might have gone viral if we'd had cell phone cameras or social networking. I suspect, too, that back when we had only three networks (and with a rabbit ears antenna on the TV, only one), the demand for news sufficiently met supply without having to manufacture and elaborate, elevating mere mortals to primetime scrutiny. 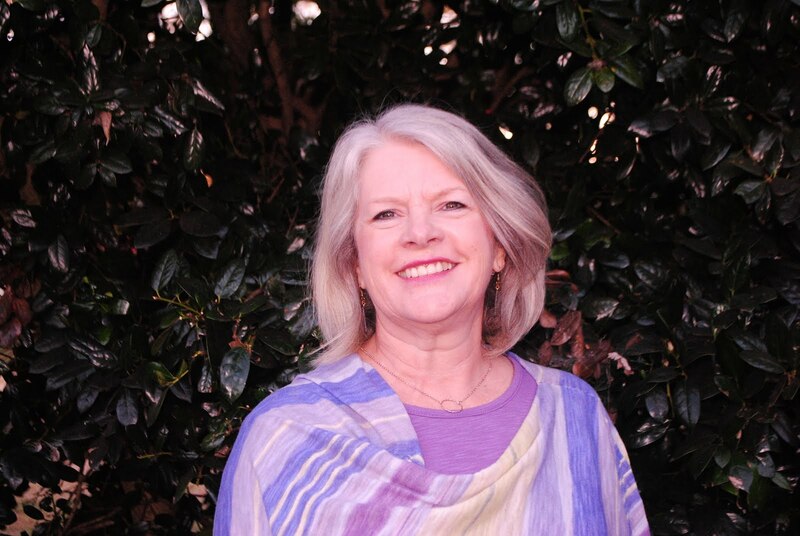 Nevertheless, Dana Dusbiber, an English teacher in Sacramento, California, has made the news and made waves with a blog post declaring her apathy or antipathy for Shakespeare. She calls reliance on his works "odd" and has replaced his works in her classes with "works by nonwhite authors." I applaud some of the writers whose works she has chosen instead, and I've had the chance to meet Sharon Draper and Isabel Allende. I started my teaching career about the same time as Dusbiber--about twenty-five years ago--and I feel certain not a single year has passed without my teaching several sonnets and at least one Shakepearean play --usually several. No one ever said directly that I had to do so. I did learn early on that there is more than one right way to teach. I've long admired teachers up and down the hall whose teaching styles did not match mine. There are so many wonderful works considered classics that I couldn't even read them all myself, much less assign them. 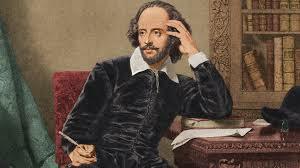 Why, then, should Shakespeare continue to be taught in the English classroom? For much the same reason literature should continue to be taught in schools. Shakespeare may be a dead white man, and he may have lived in the late sixteenth and early sixteenth century, using thee and thou, going hence and thence, but the man understood human nature. The plot of Romeo and Juliet may come across as corny and improbable, but I've yet to meet any high school freshmen who couldn't identify with the idea of wanting to date someone their parents would oppose. The eponymous Macbeth may have been ruthless yet manipulated by the women in his life from his wife to the three "weird sisters," but my students often recognize modern political parallels without much suggestion on my part. The language is difficult, but it truly is beautiful. No, people in Elizabeth English didn't go around spouting iambic pentameter anymore than the founding fathers suddenly broke into song (as one high school junior surmised when viewing the film 1776.) Shakespeare was, after all, a poet. The archaic elements, once understood, shed light, rather than diminishing understanding. I love to explain the use of the "familiar" forms of pronouns--the thees and thous, since they offer clues to shifting relationships in the plays. Literature in general and Shakespeare in particular allow readers--or audiences--to get out of ourselves, to time travel, to see the world in much the way Atticus suggested to Scout. I'm fascinated with some of the current studies of the value of literary fiction, particularly the "theories of the mind" and the studies of the development of empathy through text. Shakespeare developed characters that ranged from flawed to pure evil. The presence of an anti-Semitic Shylock or the regicidal maniac Macbeth doesn't encourage others to follow suit but allows them to see the consequences and the avenues for justice or redemption. Shakespeare's comedies allow us to laugh at others' flaws but then see them as our own, holding up the "mirror up to nature" as Hamlet suggests. Shakespeare didn't perpetuate romantic cliches as much as he poked gentle fun at Petrarchan lovers who fell for one another based on superficial beauty. Who wouldn't prefer to be Beatrice or Benedick instead of Claudio or Hero--or Romeo and Juliet? Shakespeare allowed his characters to play with words even more than with swords. Do I think Dusbiber should repent and turn from her foolish ways? No. In fact, I fear more harm is done than good when Shakespeare's works are taught out of duty rather than passion. I saw for myself years ago, when I overheard a freshman football player outside my classroom exclaim, "Oh boy! We're starting Romeo and Juliet today!" "Well, Mrs. Posey loves that stuff, so you know it'll be fun!" I can't resist book review in newspapers and magazines. I always pick up the little book news at the library or book stores too. I especially love the IndieBound publication for its book suggestions. I've heard so many authors, especially those experiencing early success, crediting the promotion by independent book stores for their success. Consequently, I end up with more books on my "to read" list than I could ever read. But a new one always finds a way to muscle its way to the top of the stack. 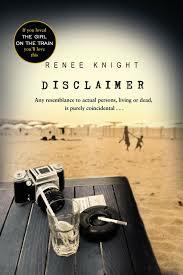 This past week, I had just noticed a mention of Renee Knight's novel Disclaimer, and I read no more than the first paragraph. When I found the audiobook on my library's new books shelf, I couldn't resist. Knight's story unfolds in a way that reminded me of Stephen King. She alternates between the perspective of Catherine Ravenscroft told in third person as she begins reading a book she finds on her nightstand and discovers a story she thought no one alive knew but her. She's spent twenty years protecting a secret from her husband and their son, feeling as if she's living a lie. The alternative chapters are told in first person by Stephen Brigstocke, an elderly man responsible for the book's publication, although the story was original written by his late wife. Knight moves smoothly between the two threads of the narrative, holding back crucial elements of the actual true story that occurred twenty years before, changing all their lives. What she doesn't tell is as engaging as what she--or her narrators--reveal. The development of the secondary characters, especially Catherine's husband Robert and their adult son Nicholas, make up a significant portion of the suspense of the novel. While the novel doesn't make the huge shifts in awareness that a book like Gone Girl does, Knight controls her narrative deftly and develops her characters subtly and fully. The most despicable characters at time evoke readers' empathy, and the most sympathetic characters provoke questions and doubt. I found that I carried around a sense of uneasiness during much of the time I was listening to the book. Disclaimer, though a little raw for some readers, is the perfect summer read, more likely to become a movie than ever to find a place on a summer reading list. I expect to hear a lot about the book before the summer ends. With a condition I have self-diagnosed as book lust, I often find myself buying a new book when I have perfectly good ones sitting, still unread, on my bookshelves. I can't figure out what makes me start reading one book instead of another. In fact, the feeling I have when I finish one book and must choose another borders on anxiety as much as eagerness. Now I've confessed and gotten it off my chest. I feel much better. Among the books waiting to be chosen off my shelves are those I've gotten over the years from Lemuria Bookstore's First Editions Club. Some of the best books I've discovered have come to my mailbox in brown wrappings. As a result, I've discovered so many great authors and books before Oprah. Why, then, hadn't I read Suzanne Hudson's novels? I honestly can't say. They just had so much competition. In recent months though, thanks to Shari Smith, author of I Am a Town and contributor to the The Shoe Burnin': Stories of Southern Soul, a few books showed up on my doorstep from River's Edge Media, a small publisher out of Arkansas. Among them was Hudson's short story collection All the Way to Memphis and her husband Joe Formichellias novel Waffle House Rules, both great reads. I finally found my way to one of the two novels by Hudson waiting alphabetically on my shelf, In a Temple of Trees. Set in the South, in a small Alabama town near the Mississippi line, Cecil Durgin a twelve-year-old black boy raised by a white Jewish family, bears witness to a game gone wrong played by a group of wealthy white men at Camp Doe Run, resulting in the death of the single woman brought in for their entertainment that night. Though he keeps his secret, Durgin goes on to take his role as owner of the local radio station, inherited from the family that raised him, where he operates as full-time dee jay and radio preacher. Over the course of the novel, the secret that won't go away begins to affect the people around Cecil, including the two girls who befriended him in high school, one the daughter of the wealthy owner of Doe Run, the other, raised in a mobile home by an abusive step father, as well as his loyal wife, a singer he's been promoting--among other things--and the surviving participants in that long-ago game. The experiences Hudson's characters and endure and survive are often painful for readers, but she doesn't let you look away as she moves the story toward righting an old wrong, bringing not just justice but a measure of redemption. Our girls’ night out group started reading books for book club night. It went over so well that we want to read a North Carolina "destination" book. 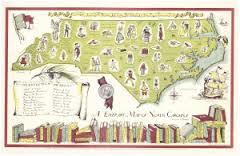 That means any fiction or non-fiction book about NC. We want to read it then visit the place the book was written. I hope that makes sense. I'd like your input on some titles. After living in North Carolina for twenty years now, I realize that most of my favorite books set in the state take place in Western North Carolina. At risk of insulting some of my dear friends (and all teenage girls in general), I don’t read Nicholas Sparks. One was enough. I get it. If I want to cry, I’ll do so on my own terms. If you just want an excuse to go to the beach, then that’s up to you. This is my disclaimer. I know Ann River Siddons has many novels set on the coast. It’s probably been more than fifteen years since I read one though. I read mountain books. One of the first North Carolina writers I discovered—and whose books I devoured—is Clyde Edgerton. Raney would be such a fun book for starters—and part of it takes place at the NC beach. You will love the main character. I also love Walking Across Egypt. Its opening scene, in which the woman forgets she’s had her chairs re-caned and gets her rear end stuck through the seat of her rocking chair until the dog catcher arrives, is priceless. Mattie Rigsbee is one of the most hilarious and compassionate characters on any page of any book. One year, my students and I decided to find Cold Mountain and climb it. Several of us met and drove west, picking our way as best we could. We finally stopped at a convenience store near Canton and asked how to get there. It’s not on a tourist route, believe me. We ended up parked near a house with a three-legged dog straight out of the novel. The same house had cages of roosters in the yard “for sale.” These birds looked like they might know a little something about obscure rural sporting events, but the statute of limitations is probably up by now. The climb was arduous and beautiful. I remember one student remarking, “No wonder it took Inman so long to get home.” The plant life reminded us of the copy of Bartram’s Travels Inman kept in his haversack. We flushed grouse along the path. On our way back, we found the sign marking the elevation of Cold Mountain and took a group photo I still keep on my bookshelf. A couple of years later, the AP Calculus and AP Biology teachers and I took a busload of students, leaving the day after my students (many of whom were in the other two classes as well) had just finished the novel. They had conflicting emotions and the usual questions. As planned, when we stopped halfway up the mountain by a stream for lunch, my students read favorite passages from the novel they felt most appropriate for the setting. Then the calculus students used fishing line, measuring tapes and ping pong balls to estimate the population that could be serve by the water supply. The biology students tested the water quality and contrasted it to that of the stream behind our school campus. The trip to Cold Mountain may not be the usual girl trip, though, unless you’re all hikers. Since the book starts in Raleigh and makes way through Happy Valley in Caldwell County and up to Grandfather Mountain (where Inman meets my favorite minor character, the goat woman), the book opportunities can be cultivated. I have a map showing the places visited during the book. I also enjoy Sheila Kay Adams’ My Own True Love , which bears comparison to Lee Smith’s Fair and Tender Ladies set in Appalachian Virginia. Adams’ book is set near “Bloody Madison” County. The Civil War history of this particular little wedge of Western NC is worth looking into. As you may know, many in the mountains of Western North Carolina didn’t support the Confederacy, for a number of reasons. First, they felt a close tie to the union (the country, not the army) because of their own part in military history. Just as significant, these were small farmers, not wealthy slave-owning planters. They didn’t think it was their fight. Sheila Kay is a storyteller, ballad singer, and National Heritage Award winner. Ron Rash is a favorite author who sets his novels in this part of the state too. The World Made Straight is also set in Madison County and moves back and forth between the present and the Civil War past. This one has been made into a movie, which, though lower budget than Serena, is supposed to be excellent. Personally, I read everything Rash writes—poetry, novels, and short stories. Check out his first novel One Foot in Eden. Wayne Caldwell’s Cataloochee and its sequel Requiem by Fire are also set in the Great Smoky Mountains in the early part of the twentieth century. If you want a wicked little satire, Lookaway, Lookaway by William Barnhardt absolutely skewers Charlotte society focusing on several members of a wealthy society family. You have fraternity-sorority clashes between Carolina and NC State, Civil War Re-enactments, Country Club under-the-table real estate deals, an aging author who, despite his financial success, never lived up to his literary promise, and a daughter who “accidentally” shoots her new husband with one of her father’s pistols. Speaking of Asheville, that’s where Zelda Sayre Fitzgerald (F. Scott’s wife) burned to death in a mental hospital. Her husband spent time there as well (staying at the Grove Park Inn). I really loved Therese Fowler’s novel about her, Z. Edith Wharton and Greensboro’s own O. Henry, best known for “The Gift of the Magi” also spent time in Asheville. The city has a little literary walk highlighting some of the authors—not to forget Thomas Wolfe, whose home should be open for tours. I also love Allan Gurganus’ novels. The Oldest Living Confederate Widow Tells All takes a while to read, but it’s monumental. 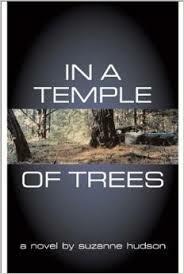 He also has some collections of interlocking short stories set in his fictional town Falls, NC (including Local Souls.) You can’t visit a fictional town, but Hillsborough, where he lives, is also home to Lee Smith and her husband Hal Crowther, and a number of other writers. It’s a charming town with tea rooms , antique and gift shops. I loved Jill McCorkle’s recent novel Life after Life, but it’s set in a nursing home next to a cemetery. Not exactly a road trip. For a short trip, and a really good cheeseburger, read Shari Smith’s I Am a Town, mostly set in Claremont, NC. It’s a book with a perfect sense of place. Your best option might be to pick where you want to go, and then let me match a book to it. If you want to visit the mountains, I think I can give you an exhaustive list. In fact, I could probably come up with another list tomorrow.